Together with our dedicated team of allied health professionals, we provide patient centered and holistic care to all children. And in order to provide the most up-to-date and evidence based clinical service to our patients, we regularly participate in professional continual education and training program. 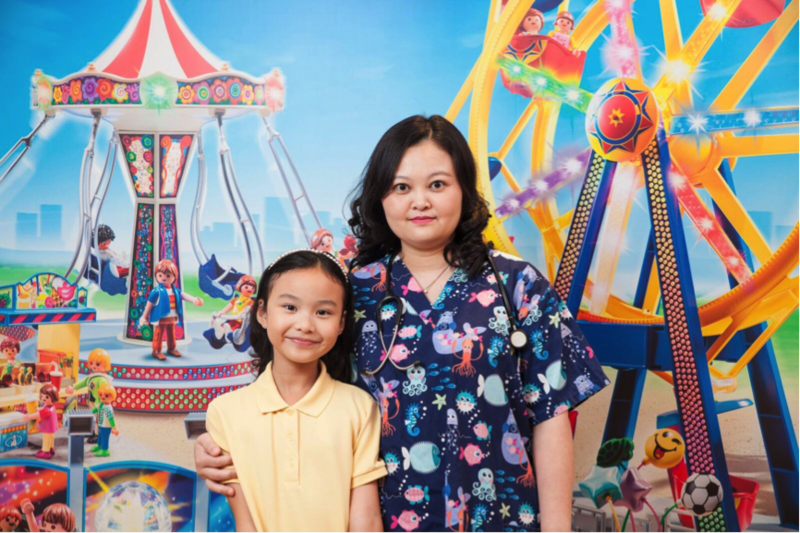 Our Centre is named after Onyx Wong who is the beloved daughter of Dr Beatrice Wong, the director of ONYX, with an intention to treat children in the same way like how she is caring her own daughter. ONYX always has lively thoughts and put children’s best interest in her mind. With the support from the world renowned toy brand PLAYMOBIL® in Germany, and their local distributor, Wise-Kids Educational Toys, we have transformed our Surgery Centre to a Child-friendly & Family-centred Amusement Park!!! This is a place full of positive energy. All this awaiting you to experience it. When your child is sick, parents may be anxiously looking for the right treatment. ONYX is here to help! We aim to provide quality service that is centered on your child’s unique needs to help ensure a positive & compassionate experience throughout your family’s healthcare journey. To achieve both child-friendly & family-centered care, we strongly believe the parents and caregivers are our best partners. YELLOW Color is Onyx’s favorite color and so we use yellow color as ONYX CENTRE theme color. Together with ORANGE Color, these colors represent the Happiness, Glory, Wisdom, Harmony, & Warmness. We hope that our little patients can grow up strongly & happily and will have a pretty shiny future like Onyx after appropriate & timely treatment. BROWN Color is Dr Wong’s favorite color and it represents Reliability, Stability, Warmth, Healing, & Honesty. We hope that our specialists in ONYX would be capable & attentive in providing timely safe and quality treatment to our little patients.